One thing that you can’t stop a puppy from doing is chewing on things. This happens when he/she starts teething. 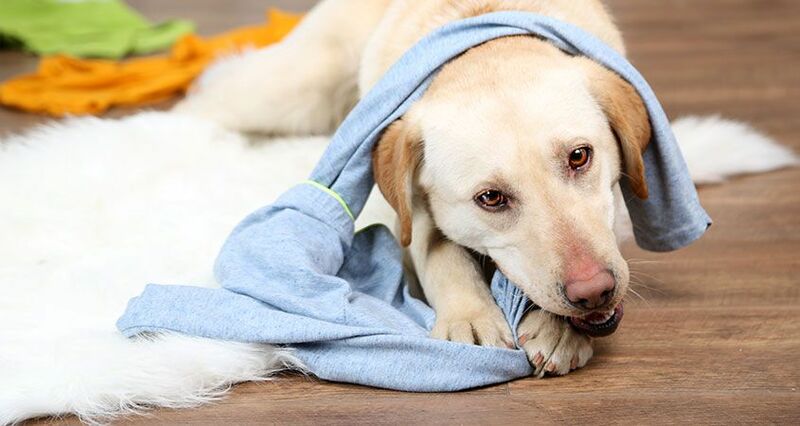 Teething causes sore, inflamed gums as the teeth break through so the only way for the dog to get some relief is to chew on something. Some of the most common items that are victims are shoes, remote controls and furniture legs. 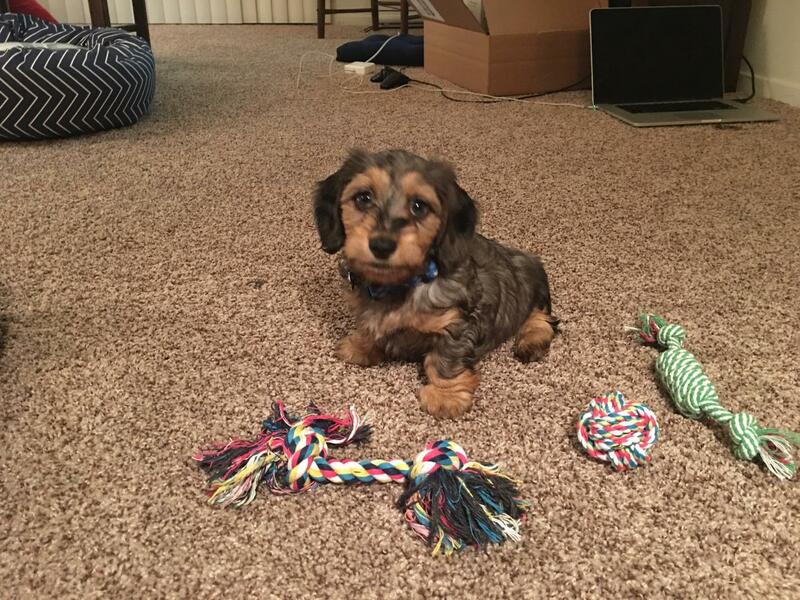 When you pick a toy, you have to consider the dog’s size and how aggressive he is when it comes to chewing on stuff. This will help you avoid toy breakages which can be hazardous to you puppy. The toys should be soft enough to provide relief and tough enough to last for long. 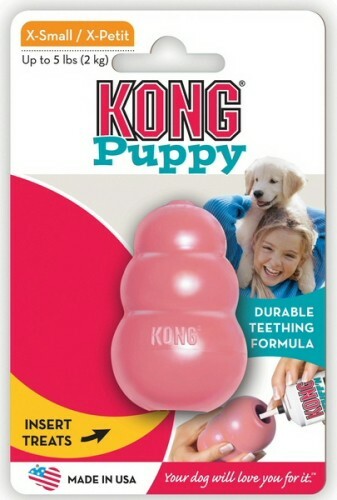 It is made from exclusive teething rubber formula designed for puppies up to 9 months. 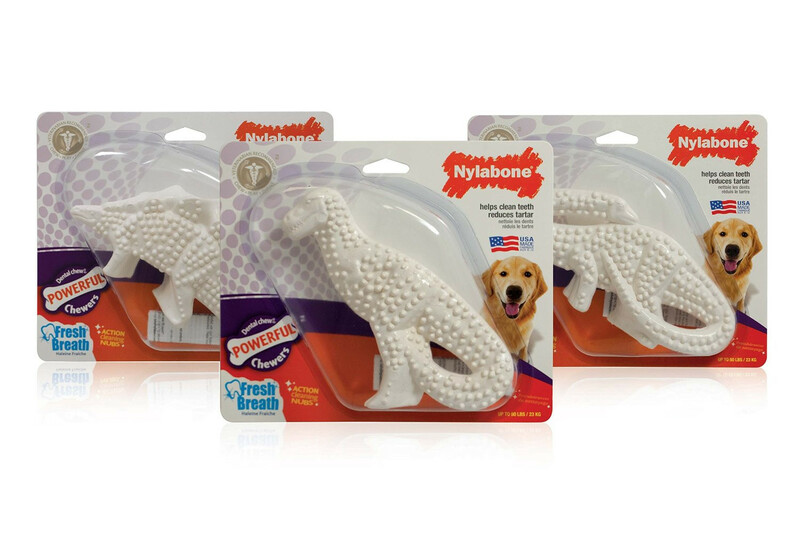 It gives you the ability to stuff the toy with healthy treats to aid in crate training, decrease separation anxiety, promote better chewing behavior etc. This will teach your puppy the acceptable items it can chew and try to stay away from your shoes. The toy also has an unpredictable bounce when thrown hence the games played will never be the same. This will keep the dog excited and craving more. When left alone with the toys, he will direct his energy towards trying to get the food inside the toy instead of other destructive behavior. i) It smells awful. Washing couldn’t get rid of the smell. It comes as a set of items which include rope toys around 9.5 inches long, rope ball and a plaited double rope toy. It is perfect to clean your dogs teeth and massage the gums. These help in reducing plaque build up and prevent gum disease. It is a perfect toy for small dogs. i) Some puppies could easily unravel the rope while heavy chewers destroyed them fast. This is a dinosaur shape chew toy for puppies up to 25 lbs. It has a chicken flavor plus relatively indestructible. ii) Aggressive chewers can easily shatter the toys into small pieces. 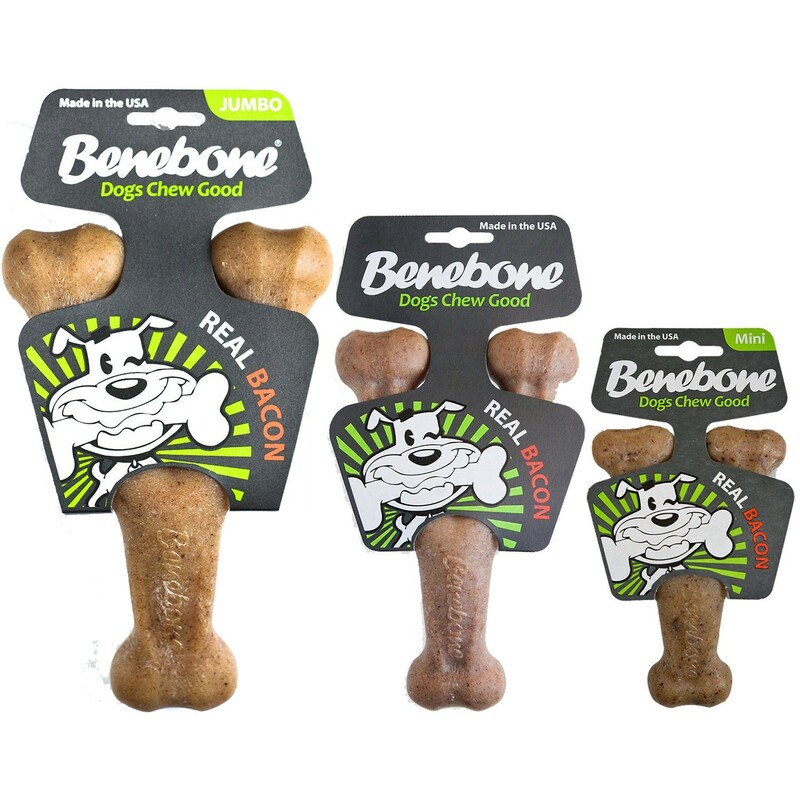 It has a curved wishbone shape to allow dogs to pop up one and get great chew going. It has deep grooves to get a good bite and increase surface area for improved scent and flavor. Breakage is still possible for very aggressive chewers. It comes in different flavors such as bacon, chicken, frenzy pepperoni pizza and liver. 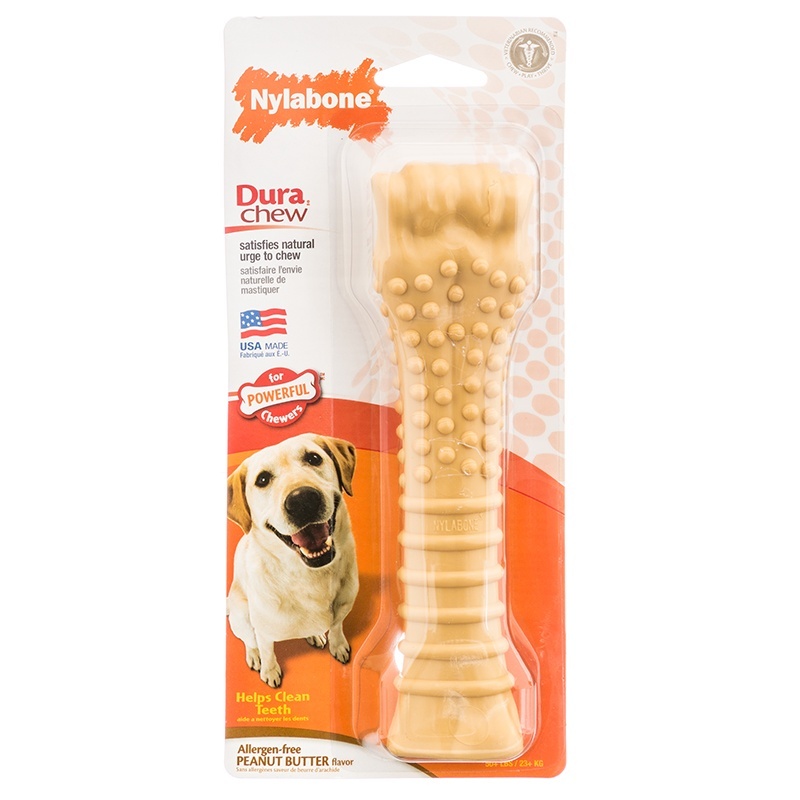 It is a durable nylon with a new textured design best for strong chewers. It comes in various sizes depending on the weight of your dog. i) Mild chewers may just ignore it.